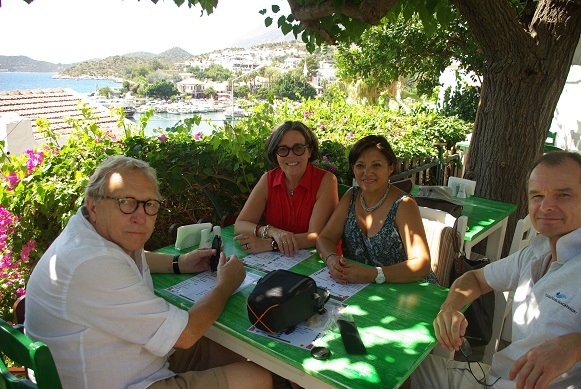 Mayte and Mats our long time friends and collegues from Karolinska arrived to Kas August 28. Carolina was with us another day which was nice for her to also be with her godparents. We will now cruise in the Kekovaarea before finally ending up in Finike.